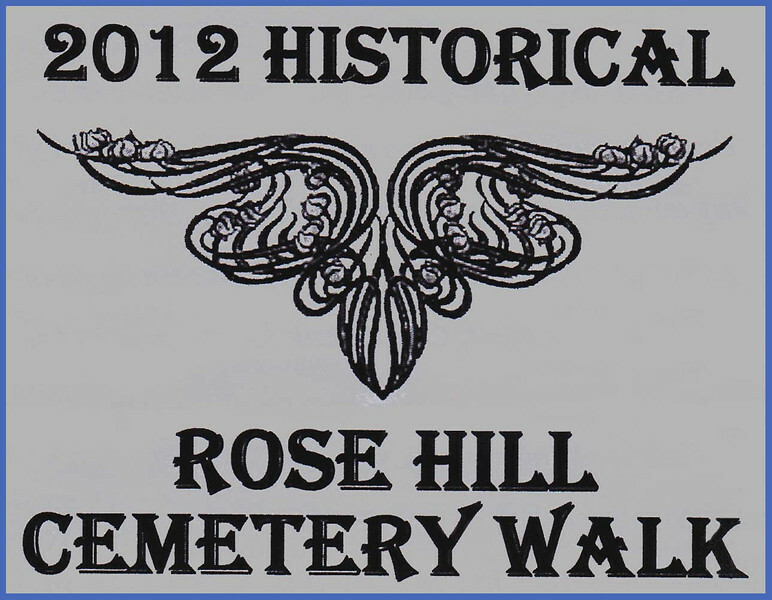 The 2012 Historical Rose Hill Cemetery Walk took place on Saturday, September 29, 2012 in Spearfish, South Dakota. Below are a few candid photo and some brief descriptions to give you a glimpse of the people and events covered by the walk. Click on any of the images to choose a larger version from the menu. Following photos from the 2012 event, you'll find snapshots from the 2011 event, which took place on Saturday, September 24, 2011. A production team consisting of writers Paul Higbee, Kaija Swisher, Jon Steven Wiley, and Linda Wiley penned some terrific scripts for the 2012 Historical Rose Hill Cemetery Walk. Joe Saracco handled the wardrobe, and Jon Steven Wiley and Linda Wiley were coordinators for the event. Of course, the many talented actors who portrayed historic Spearfish residents deserve much credit for doing a splendid job! Below, you'll find images from both the 2012 and 2011 Cemetery Walks. We're confident -- given the terrific attendance at these cemetery walks -- that this will become an annual event. Kudos to all who had a hand in putting this production together!